By harrisonca on January 8th, 2010 . 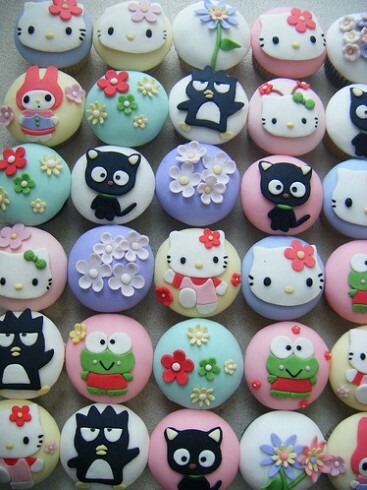 Filed under: Cupcake Ideas, Decorating, Stationary . Brilliant assortment of the infamous Hello Kitty and Sanrio friends. This set was constructed by Gabby Cupcakes. I also see Keroppi, Badtz-maru, Chococat, but alas.. no Pochacco. where can i buy that badtzmaru cupcake ? pls give info to me..